WASHINGTON — With Utah beginning a four-game trip while jockeying for position in the tight Western Conference playoff race, the objective in its first game was clear — contain Wizards All-Star guard Bradley Beal. "We had some guys that guarded (Beal) that worked and you're not going to guard a player of his calibre with one guy," Jazz coach Quin Snyder said. "We had a good awareness." Washington shot 42 per cent for the game and 30 per cent from long distance. Utah shot 54 per cent from the field and made 14 3-pointers. 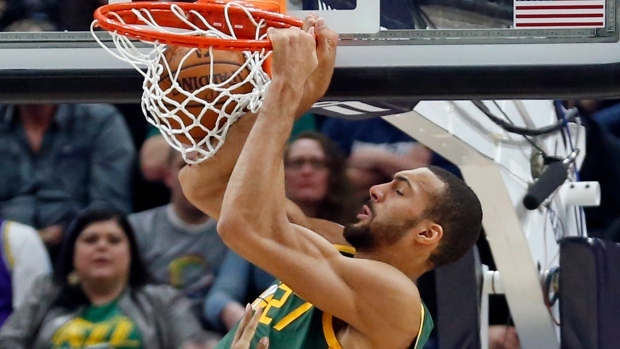 Jazz: Gobert joined Mitchell on Monday as the second Utah to player to earn Western Conference Player of the Week honours this season. ... Gobert had his 55th double-double of the season. ... Thabo Sefolosha returned after missing Saturday's game against the Nets with left hamstring tightness and had six points in 12 minutes. ... Dante Exum missed his second straight game after partially tearing his right patellar tendon on March 14.